The people of Ekiti State will vote for their governor for the next four years at 2,195 polling units and 2, 803 voting points across the state today. The build-up to today’s election had been so tension-soaked and crisis-ridden. It is hoped that the exercise would be hitch-free and credible, considering the fact that it will serve as in-road to the 2019 polls. Barring any unforeseen circumstances, the election will be a two-way horse race between the candidate of All Progressives Congress (APC) Dr. Kayode Fayemi and the Peoples Democratic Party (PDP) candidate and godson of the out-going governor of the state, Ayodele Fayose, Prof. Olusola Eleka. Meanwhile, despite all the political brickbats between the major political parties, PDP and APC, the state was very peaceful yesterday with heavy presence of security personnel at all nooks and crannies of the state. Also yesterday, the old Governor’s Office and Secretariat in Ado-Ekiti was allegedly turned to cashpoint as voters trooped in to receive money in preparation for today’s poll. The voters started visiting the former secretariat located at Oke Bareke around 11:00am, in trickles, but the news spread like wild-fire, leading to mass movement of voters into the venue with their Permanent Voters Card (PVC). 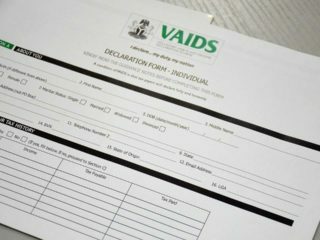 The Guardian observed that people thronged the collection points to be accredited by some designated officials, who were allegedly members of the Peoples Democratic Party (PDP). According to one of the beneficiaries, who simply identified herself as Iya Mary Eleja: “I was called by my neighbour that the PDP was distributing money, so I had to rush here to get my own. “After I had lined up for like one hour, it got to my turn and the person in charge cross-checked my voters card to check my unit, ward and where I will vote tomorrow. I was given N4, 000 though some people got N5, 000,” she said. The inducement of voters went on uninhibited for hours and the population of voters who scrambled to get their own share of what they termed owo ibo, meaning, “election money,” soared tremendously. 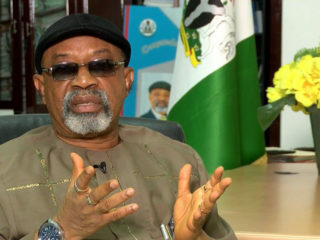 A Civil Society Organization (CSO), Situation Room, HAS condemned the financial inducement, stressing that stiffer sanctions should be meted on whosoever was found guilty of electoral offence. Addressing journalists, the Chairman of the Coalition, Mr. Clement Nwankwo, decried the monetisation of election by politicians, saying it must be nipped in the mud. Nwankwo, who clamoured for the prompt sanitisation of the nation’s electoral system, implored security agencies to desist from the act of being used to intimidate the electorate. He added that 30,000 police personnel and other security agencies mobilised to Ekiti State must be deployed evenly across the nooks and crannies of the state. 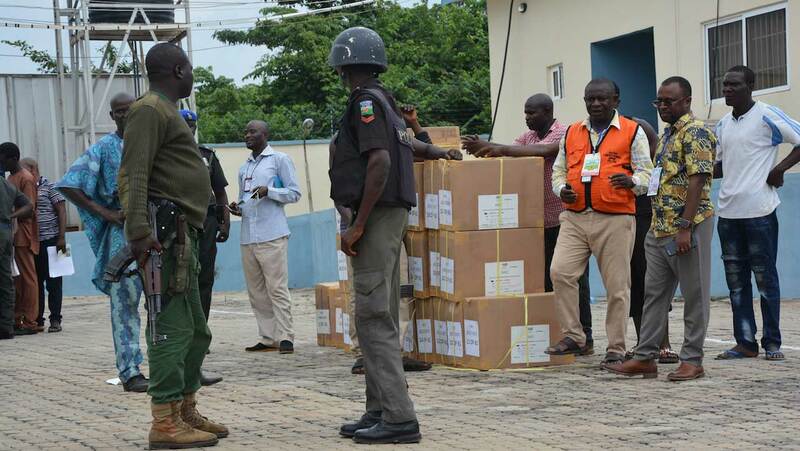 “We have made recommendations to the security agencies on how to tackle vote buying. It is a serious electoral offence that must not be allowed in our country. “So, our security must be up and doing and remain committed to the success of this poll,” he advised. He lauded the security agencies for sustaining peace on the eve of the election, describing this as a sign that the election will be orderly and credible. The group insisted political parties must conduct themselves in a manner that does not encourage violence by their supporters, as they will be held liable for their activities that trigger violence. The candidate of Mega Party of Nigeria, Bisi Ayeni, decried the buying and selling of votes, warning that “it would result into vicious circle of poverty with multiplier effects on the economy and people. “That is totally wrong,” he said, faulting INEC for not taking proactive measures to stop monetisation of election in the country. He revealed that most parties spend more than the N200 million which was pegged for election in the country. But the PDP South West Publicity Secretary, Mr. Ayo Fadaka, denied the incident, revealing that what happened between the party and their supporters was a pep talk to consolidate on their successes. Similarly, Rivers State Governor, Nyesom Wike, has alleged that the APC-led Federal Government is against the conduct of credible election in Ekiti State because the party is not popular with the Ekiti people. He also said national security has degenerated beyond measures because the APC-led Federal Government has re-focused the nation’s security infrastructure towards rigging the Ekiti State and 2019 general elections. Governor Wike said the anti-society stance of the Nigeria Police Force has made it necessary for State Police to emerge. Wike stated this at the Government House in Port Harcourt yesterday. “Why will there not be insecurity? Those who are supposed to fight crime are working towards rigging the 2019 general elections. You have sent 30,000 policemen to Ekiti, no wonder herdsmen and militiamen are killing in other places. “You moved 30,000 policemen to a state. This has allowed other states to be porous. 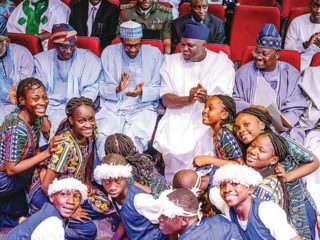 In focusing on 2019, they have allowed their major security function not to be tackled. Everyday in their meetings they talk about how to take over states,” he said. Wike said the APC Federal Government is recruiting more policemen specifically to rig the 2019 general elections in selected states. “They even sent policemen for special training on how to rig 2019 general elections. What is happening in Ekiti State is nothing compared to what they will do in 2019. 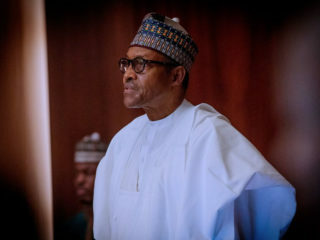 A government that came to power with the claim that Nigeria voted for them no longer wants to allow people to vote in 2019,” he said. The governor accused the APC government of using the Police and other security agencies to molest and intimidate voters in PDP strongholds in Ekiti State. Wike said that based on the security intelligence at his disposal, the APC has concluded plans to use the Ekiti method on Rivers State in 2019.